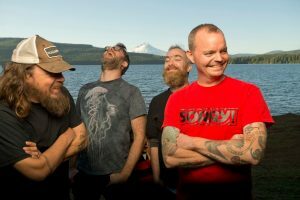 Additionally, RED FANG have shared a cover of the 1978 cult hit “Listen to the Sirens” originally performed by Gary Numan’s Tubeway Army. Watch the official music video directed by Ray Gordon on YouTube HERE and all streaming services HERE. Stream and follow RED FANG’s new This Is Red Fang playlist on Spotify, featuring songs throughout the band’s entire discography, AT THIS LOCATION.